A wonderful new addition to our wedding decorations in a range of colours. 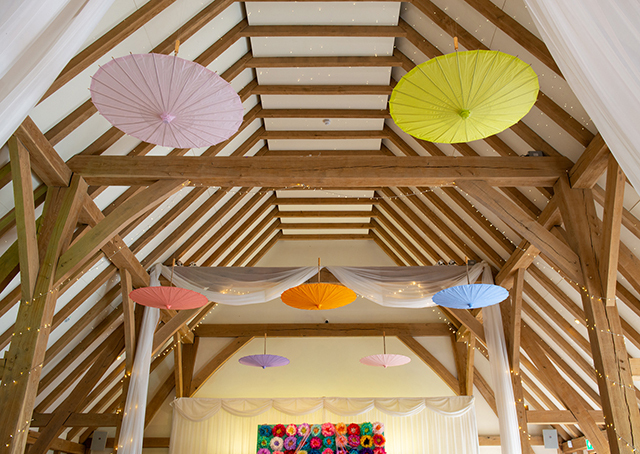 These paper chinese style parasols suspended upside down will add a beautiful visual effect to your wedding day celebrations. Our hire fee, on request, includes delivery, installation and breakdown of decorations.